New South Wales’ Berejiklian Government is hoping to win votes with its promise of interest-free loans for solar batteries and solar power + battery systems. After NSW Labor’s solar rebate pledge was announced on the weekend, the pressure was on the Berejiklian Government to pull something out of its hat to win the positive attention of NSW home solar supporters in the leadup to the March 23 state election. While it has demonstrated backing for large-scale PV projects, nothing was on the table on the small-scale residential PV side of things. 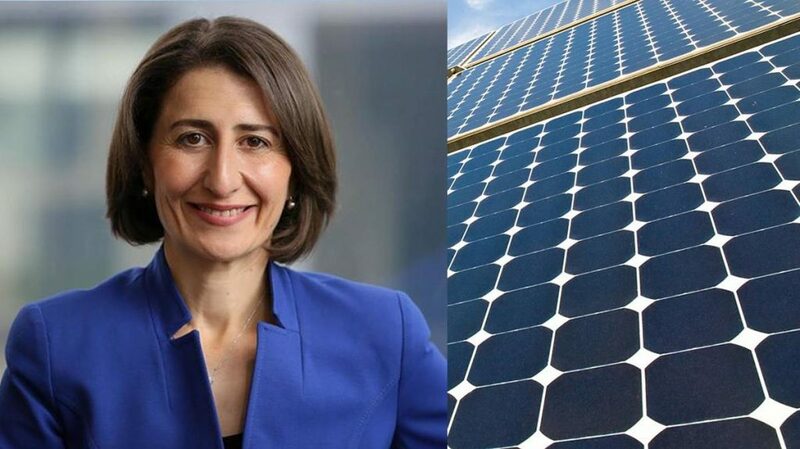 On Sunday, Premier Gladys Berejiklian announced the NSW Liberal’s and Nationals’ 10-year Empowering Homes program, which will provide no-interest loans for the purchase solar batteries and solar power + storage systems. It’s understood the program will be available to “up to 300,000 households” over the ten years; assuming of course the Berejiklian Government is still in power after March 23. In order to be eligible for the no-interest loans, applicants will need to be owner-occupiers and have an annual household income of up to $180,000. Loans of up to $9,000 for a solar battery system and up to $14,000 per solar + storage system will be available. How long the interest-free loan period will be wasn’t mentioned and there’s not much other detail at this point in time. Suppliers and installers for the Empowering Homes Program will be selected through a competitive tender process and the initiative will also be utilised to encourage battery manufacturing in NSW. But will it? Probably not for those taking up the offer in the short term, assuming it kicks off very soon after the election. While the cost of solar batteries is expected to drop over time, currently in most cases batteries will still not pay for themselves before the warranty expires. Also, installing batteries as part of a solar installation has a negative impact on payback rather than making it better. The NSW Government said the initiative will cut emissions, but according to SQ’s Ronald, that’s not the case when it comes to batteries. Regardless, the Clean Energy Council seems quite positive about this and NSW Labor’s announcements. “Substantive clean energy announcements from both the New South Wales Government and the Opposition this weekend show that both major parties have recognised the importance of the issue to voters ahead of the state election next month,” it said. While NSW Labor has taken a leaf out of Victorian Labor’s playbook with its Solar Homes policy, the Berejiklian Government’s Empowering Homes program is closer to Queensland’s (but without the grants) and a dash of SA’s Home Battery Scheme thrown in. Whilst the report above states that no duration for the interest-free loans, is specified (I suggest that duration for such loans, be calculated on the basis of a repayment rate of $1000 per year, or, $20 per week), the report also does not (I believe) include mention as to what, if any, money is to be paid upfront – is it a no deposit scenario, or, is it requiring something like a 20 or 30% deposit? Also, does the financing include any charges; for example, whilst providing “interest-free” financing, as a revolving line of credit, Certegy charges about $10 per month, in “administration fees”, apart from the 20-50% markup that a customer faces, for a solar system bought with Certegy financing. So, with previously reported delays (to the extent that they can send businesses broke, by obstructing the cash flows of the businesses) in payments from government departments, and any apparent costs involved by using government financing, will businesses be adding surcharges to government financed solar systems purchases, as happens with systems financed by Certegy? “New South Wales’ Berejiklian Government”, for all of Australia? In my last previous post, I suggested that an appropriate duration for interest-free financing for purchasing domestic rooftop photovoltaic systems and getting them installed, should be calculated on the basis of a repayment rate of $100 per year or $20 per week. It since occurred to me that, due to the lack of consistent warranty durations, the duration of the repayment period for an interest-free financing for purchasing domestic rooftop photovoltaic systems and getting them installed, should be calculated on the basis of a repayment rate of $100 per year or $20 per week, or, the duration of the shortest warranty coverage of the components in a system, whichever is the lesser. 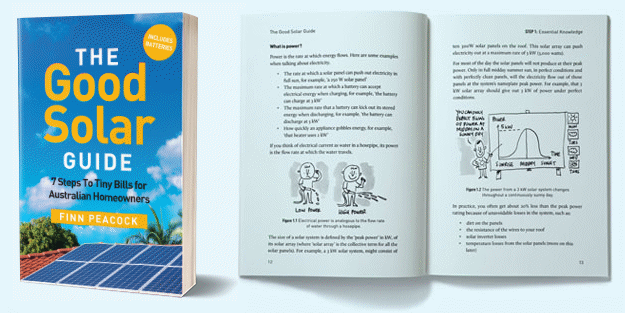 Oh, and, if a feral government would provide such financing, I suggest that such financing; of interest-free financing for purchasing domestic rooftop photovoltaic systems and getting them installed, would be a far better use of the CEFC and its resources (funding), than utility-level clean energy systems financing – why take from the less well-off (we, the plebs), to aid the rich and powerful? Sadly as my experience in QLD demonstrates is that whilst these are great initiatives all is does is prop up the cost of installing solar. In QLD its all about profiteering and batteries that should be costing around $10k are being charged at $16. Ridiculous ! just a little left of the solar business if i may but thats the way it works nowadays state or federal governments saying sorry but we can’t look after your basic needs any more its every person for themselves. Disgusting trying to buy votes , hey vote for us and we’ll give you a freebie, not what we will do for our country. Tasmania made a similar offer a few years ago. I cant remember the exact details etc., but when you drilled down it became apparent that it was tied in with Westpac. And if you didn’t meet their Loan requirements, you weren’t taken on. I don’t know if Westpac also made it one of their conditions that you move your banking to their organisation, but I wouldn’t be surprised if that was so.